We are looking for a new family for him. Notes: Vaccinated, Neutered, Heart Worm (-), Weighs about 15kg, All of his teeth are ground except for the back teeth. 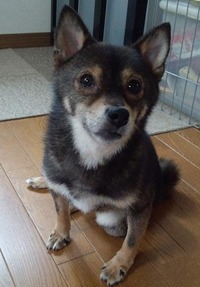 Daikichi's former owner was going to take him to the public shelter to put him in a death row because of the reason that Daikichi bites people. 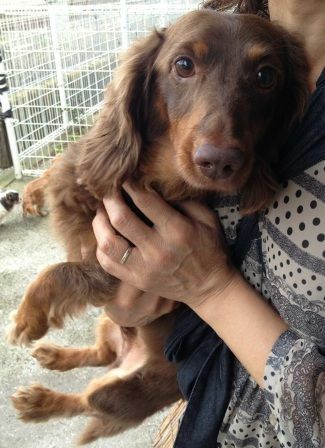 An animal protection group who heard about Daikichi rescued him. 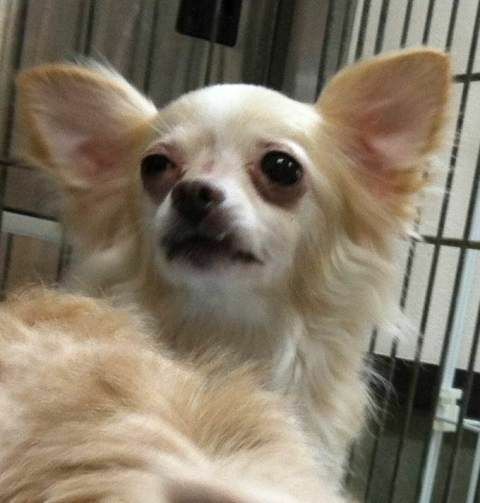 When they gave him an operation for neutering, they asked the vet to grind almost all of his teeth so that he can not do much damage to people if he bites again. 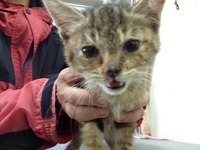 This animal protection group contacted our leader Shimada asking for help rehabilitating Daikichi's biting behavior. 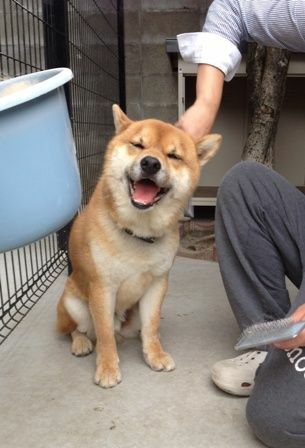 So Daikichi came to us in the last Dec and started the rehab. It has been more than 7 months since we started the rehab and Daikichi had made a great progress. But he is still afraid of an unknown adult man and tries to attack him, but once he understands that the man is not there to harm him, he no longer shows aggression. Daikichi is about 3 to 4 yrs old. 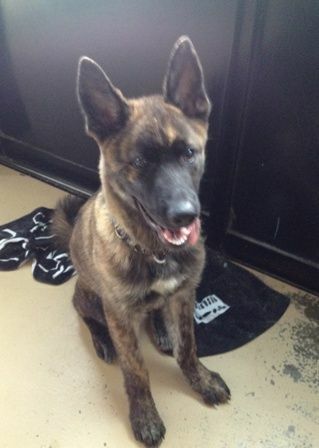 We don't know any details about him such as how his former owner got him. He is a very cute good boy. He is really, really cute. But he bites. His biting habits were so severe that the other animal protection group had to decide to grind all of his teeth. We think that there must be a reason why Daikichi started biting people. Ofcourse, his personality can be one of the reasons but there should be more reasons. We assume that he had been physically abused by an adult man. We have been observing him in what circumstances he attacks people and assuming what kind of life he had before coming here and try to understand his mind. 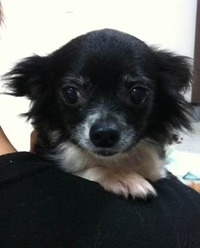 He is still in the course of rehab but since he had shown a great progress, we decided that he can be adopted now. He has transformed from an aggressive dog to a dog who loves people. He is smarter than most other dogs. His behaviors are sometimes so funny and they make people laugh. He loves to play with balls and people. 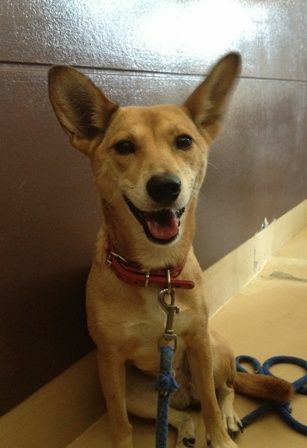 Please contact us if you are interested in adopting him! 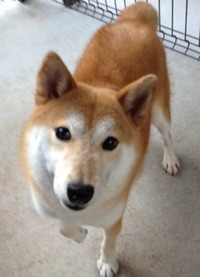 ウルちゃんの里親様募集☆Uru is waiting to be rehomed! 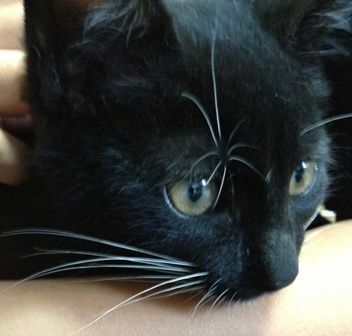 Notes: Vaccinated, She will be spayed soon. She is little bit shy but loves people. Her former owner could no longer keep her for some reasons. 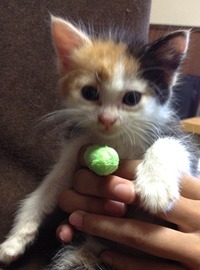 If you are interested in her, pls contact us. 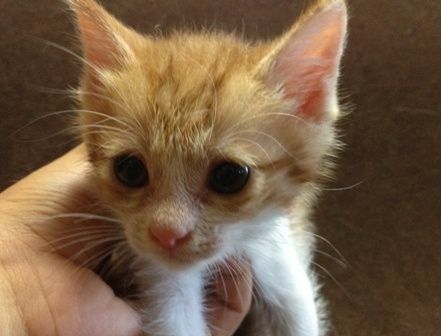 We are looking for new families for these kittens. She is very friendly with people. The white socks she is wearing are very cute! The other animal protection group asked us for help so we took them in to find new homes for them. If you are interested in these kittens, pls contact us! 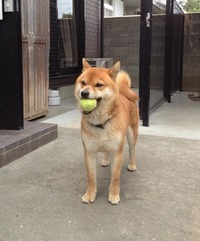 コゲ君の里親様募集☆Koge is waiting to be rehomed. 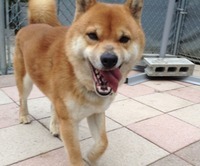 We are looking for a new family for Koge. His former owner could not keep him for some reasons. 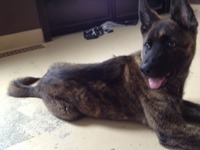 So we are helping to find a new home for him. He is very intelligent and friendly with other dogs. 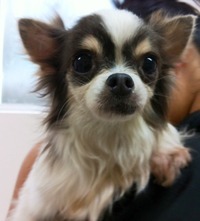 If you are interested in adopting him, pls contact us. おちばちゃんの里親様募集☆Ochiba is waiting to be rehomed. 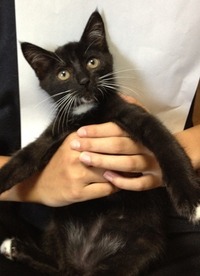 We are looking for a new family for Ochiba. He is currently living with a family as trial period. 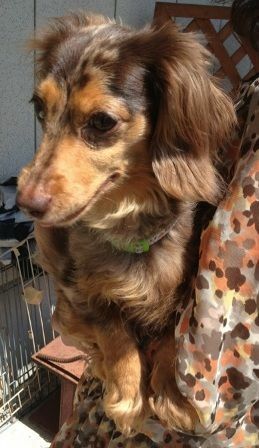 If you are interested in adopting Ochiba and want more details about her, pls contact us. 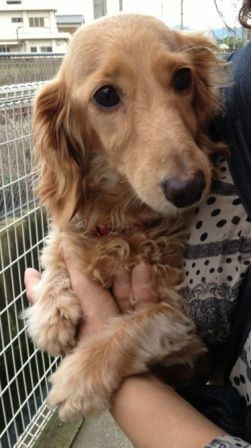 ダックス＆ヨークシャーの里親様募集☆Dachshunds and Yorkshire Terriers waiting to be rehomed. Notes: Heartworm (-) He loves people but is shy. If he can go to a family with no other dogs, he may do better. Notes: She loves people and always demands to be put on your lap. She is quite jealous and does not want to share you with other dogs. So if she can go to a family with no other dogs, it may be better for her. 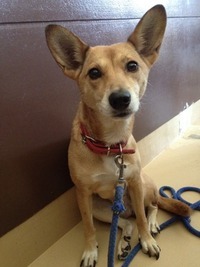 Notes: Heartworm (-) She loves people and is very energetic and happy. 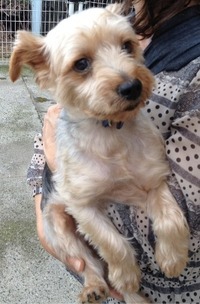 Notes: Heartworm (-) He is relatively big for Yorkshire Terrier. He is mellow and does not bark often. Very cute. We rescued them from a public animal shelter before they were put in a gas chamber. If you are interested in any of these dogs, pls contact us. ドンソレイユさん、ありがとうございました！ Thank you, people at Don Sleil! People working for the healing gem stone shop, Don Soleil held a charity bazaar for Wan Life and donated us the sales and the donations collected. We appreciate very much the considerations of the people who held the bazaar and the people who purchased things at the bazaar. 譲渡会＆バザーのお知らせ♪ Next Adoption Event & Bazaar! 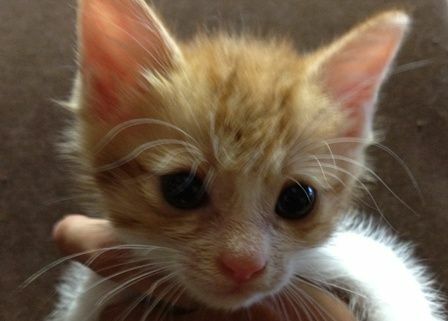 The next Adoption Event & Bazaar is on July 29th (Sun). Please, come to meet these dogs! We are waiting to see you there. * Our leader Shimada will be absent. We are looking for volunteer workers on the day of the event. We are very grateful that many people come to the event every time when we hold it. If you are free on the day of the event and willing to give us a hand, please, give a call to the number below. We thank you very much for your help. 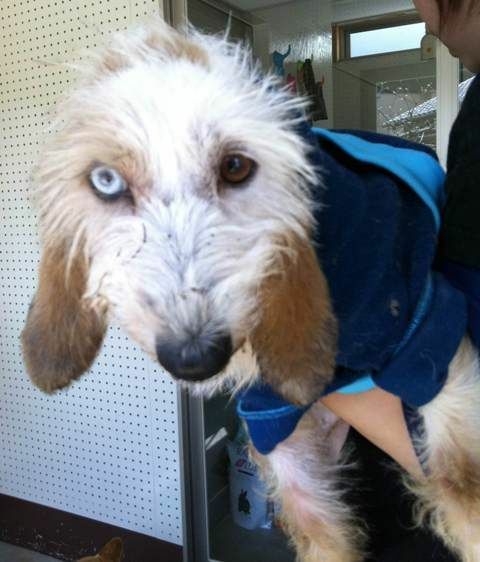 We are constantly rescuing abandoned animals from various different places including puppy mills. The animals are often in bad conditions. 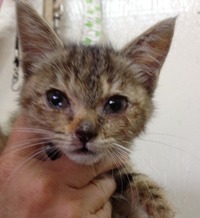 Your donation will help us give animals veterinary cares they need. Your donation will be appreciated very much. (Note) After sending things or donating money, please let us know by e-mail. Your donations are appreciated very much. They keep us helping the lives of animals! クーちゃんの里親様募集 Coo is ready to be rehomed! We are looking for a new family for this kitten. Notes: Front Line is given. Currently she has cold and as soon as she gets well, she will be vaccinated. 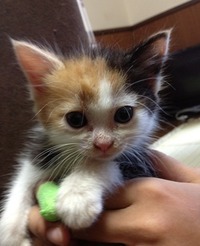 She will be rehomed after the vaccination. A person rescued her when she was wandering around on a street. He asked us for help finding a family for this kitten.